The Pro Carton Young Designers Award, one of Europe’s leading student competitions for packaging design, is open for entries for 2017. The #pcyda17 competition includes two categories: Creative Cartonboard Packaging and Creative Cartonboard Ideas, and is open for work made exclusively of cartonboard (over 200 g/m2). The main prize is one-week practical training at an international packaging company. Furthermore, all finalists and their lecturers will be invited to the Gala Awards dinner and award ceremony on 21st September 2017 in Salzburg – the city of Mozart! And of course, there will also be trophies, certificates and comprehensive marketing activities. After the competition has closed, all designs that get through the qualifying round, will be showcased on a voting page with photos and texts. In addition, all entries will be presented on Pro Carton’s social media channels Facebook, Twitter, Instagram, Pinterest and LinkedIn to a wide European audience. In its first year, Public Voting was a tremendous success, with 14,000 votes cast for the 2016 Public Award. 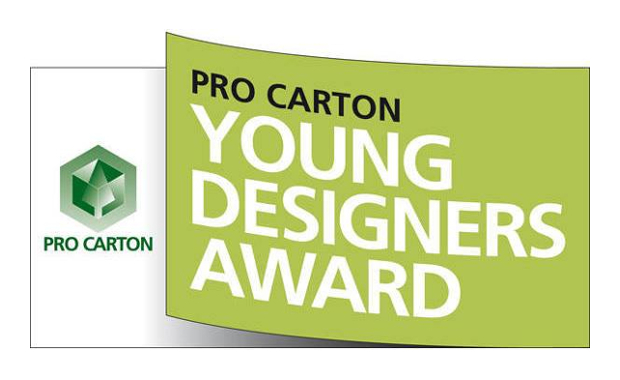 As a result of its overwhelming success in 2016, in future the Pro Carton Young Designers Award will be held every year. This means that all design schools and universities can now include the Award as a regular element in their curriculum, offering students the huge opportunity to demonstrate their creative skills in a competitive environment. Last year, the Pro Carton Award received 157 entries from 12 countries.